It’s crazy how one week away from blogging has felt like a month for me! It has been an eventful last few weeks for us and will be an eventful next few months…guaranteed. Jasmine started cheering. Josh will begin football. Both start school soon including myself too. Of course there is the usual full-time work day for hubby and I. My brother is getting married in a couple months and once October hits forget about it. Anyone who knows me knows…Oct thru Dec, yikes! Birthdays galore and of course there’s the holiday season. Last week my family had the Biennial Luau! For my vegan selections, I made two different pasta salads, bean salad (always a favorite amongst the crowd), a pineapple upside down cake (it was amazingly moist), cupcakes (always a big hit with kids), brownies and a strawberry shortcake trifle! Lots of food. Yes, I cooked all night. Are you hiring? *Will cook for Money* Lol! 🙂 Really I enjoy it. What I should have done was taken pictures to share with you, sorry about that. I have some pics from yesterday! 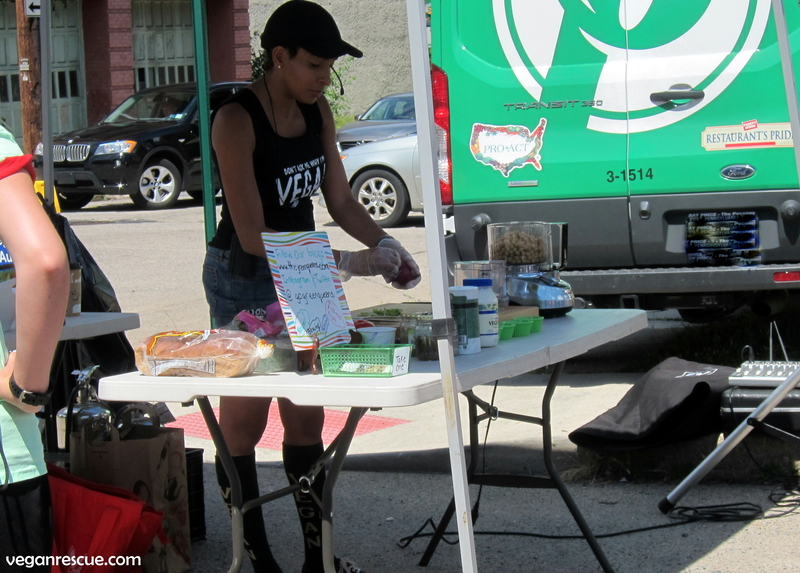 We spent time at the 5th annual Bethlehem VegFest. Lots of vegan food, information and activities too. Jasmine did an excellent job at the Girl Scouts craft booth where she had to guess the vegetables! She got them all correct, I was so proud. Heck, I know some adults that can’t identify a ginger root let alone bok choy, parsnips vs. turnips or yucca! There were also beets, acorn squash, and fennel among some easier ones like kale or carrots. I do occasionally quiz her at the grocery store, lol. We had fun there were many food vendors, cooking demos, farmer’s markets, Mind, Body and Spirit zone as well as Animal Haven’s or Health info vendors. 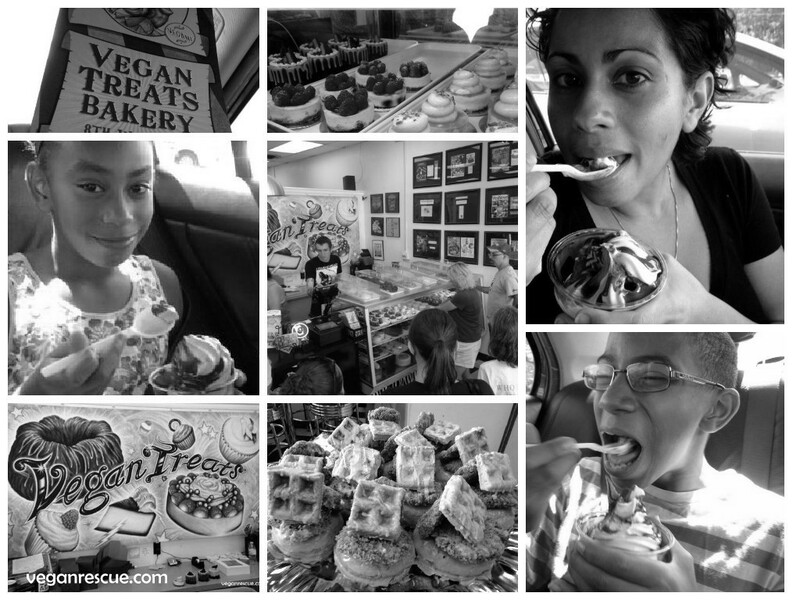 A quick funny story… so we’re out there it’s hot and we passed by the Vegan Treats booth (a bakery local to that area – they’ve been featured in so many magazines etc. 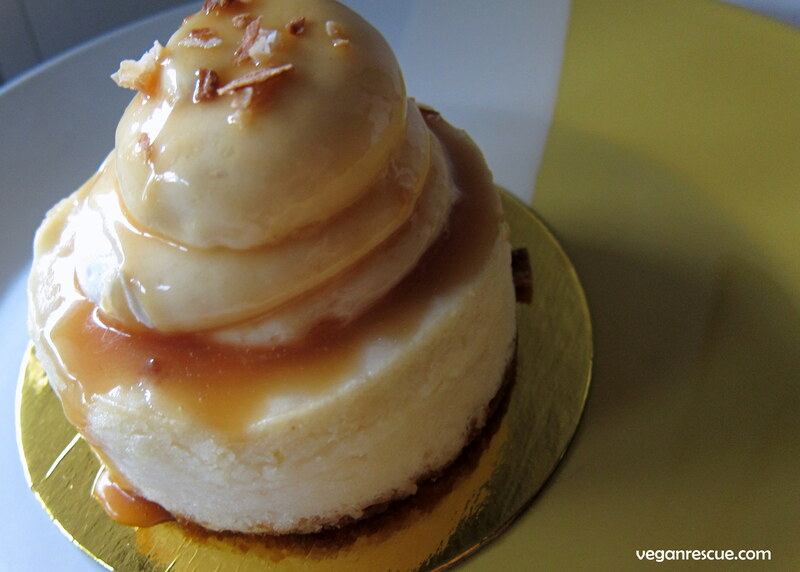 Amazing vegan bakery goods!) So we passed by and wanted some goodies, naturally the line was so very long and as I mentioned it was hot! So I had the brilliant idea [sarcasm] to go to their actual shop instead of waiting in that long line. Their actual location was only about 5-10 minutes away and we were about ready to leave any way, right. As we drive up to the bakery, wouldn’t you believe it the line out the door and wrapped past the building, lol! You can’t make this stuff up. Now you get my sarcasm, right, I guess a lot of other people had the same great idea. So we waited… Of course we did. We stocked up too while there since it’s a bit of a drive from us. 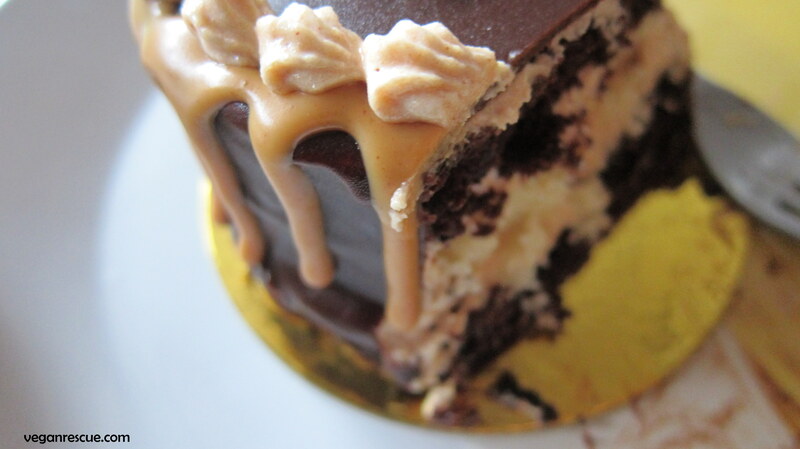 The kids and I had some cake (the kids peanut butter and cookies and cream for me – pictured below), my hubby had their coconut cream caramel drizzle cheesecake (1st pic). I went too!! 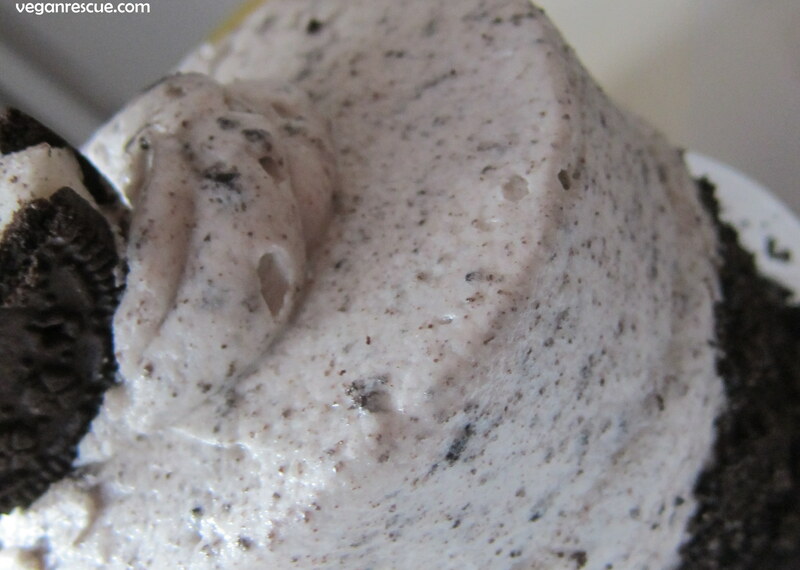 It was awesome 🙂 That’s funny, some other people I know that went tried going to the shop too, didn’t really work out… That soft serve sounds like HEAVEN. I actually got one of the chik’n waffle donuts, and it was really great. 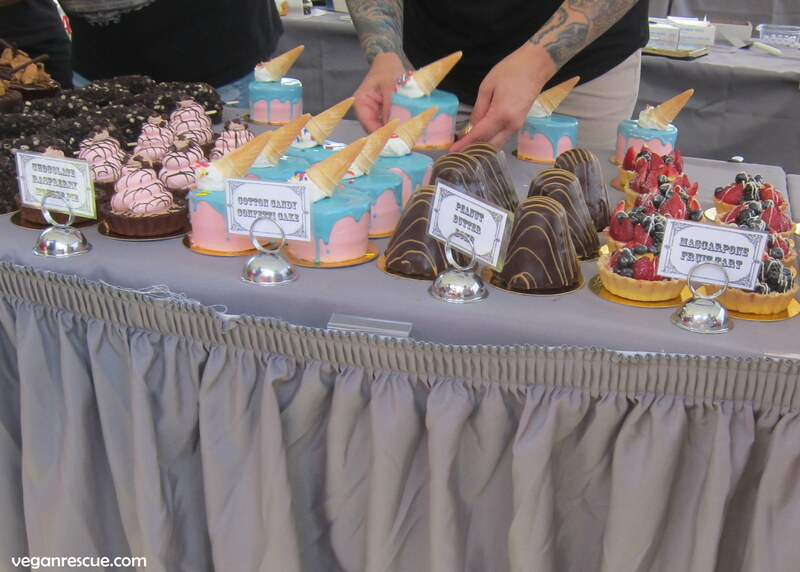 Love the cakes with the ice cream cones!